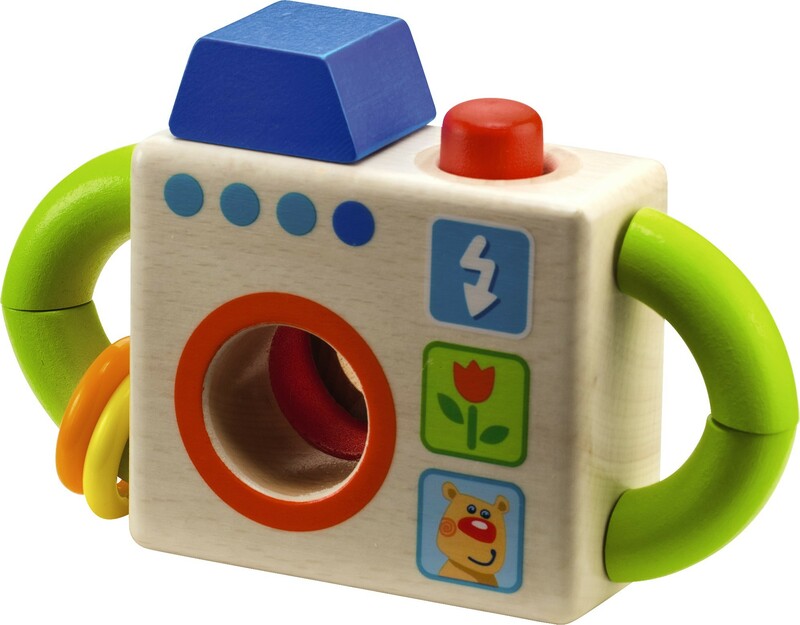 Give your young one a toy to “Capture Fun”. 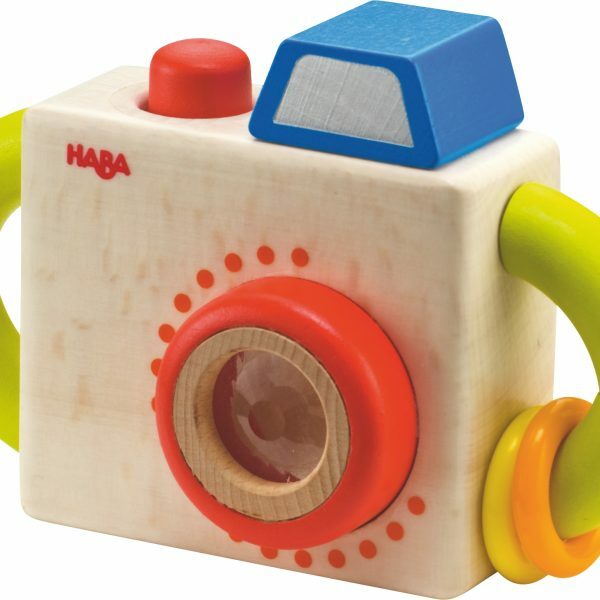 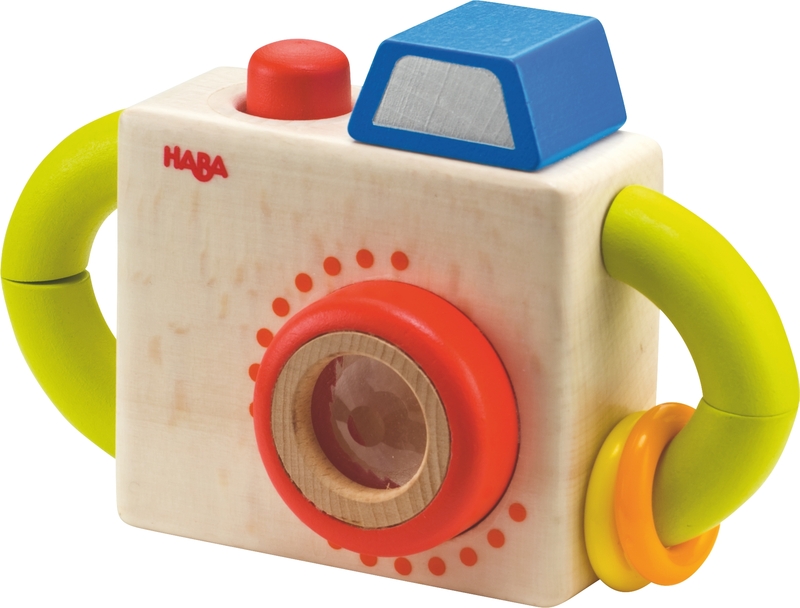 This colorful wooden camera will have your child getting great shots every day. 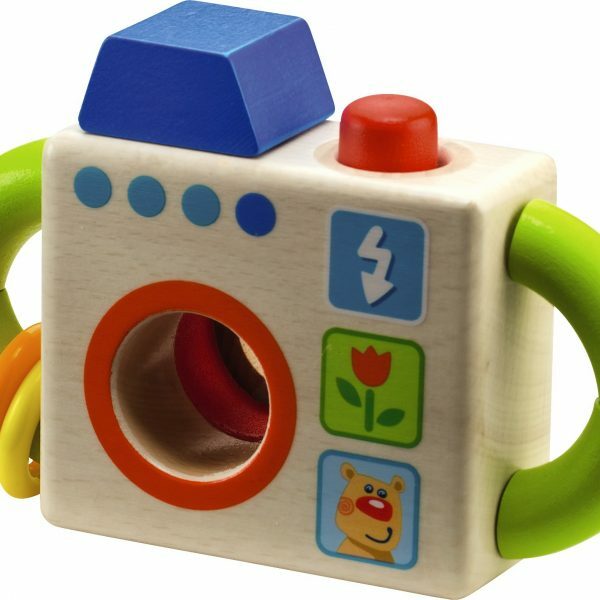 Push the red button to take the shot, look through the prism to see the crazy world!